Lisette Melendez and Johnny O were awesome!!! at the Four Points Sheraton Ballroom, 275 Research Parkway, Meriden, CT. 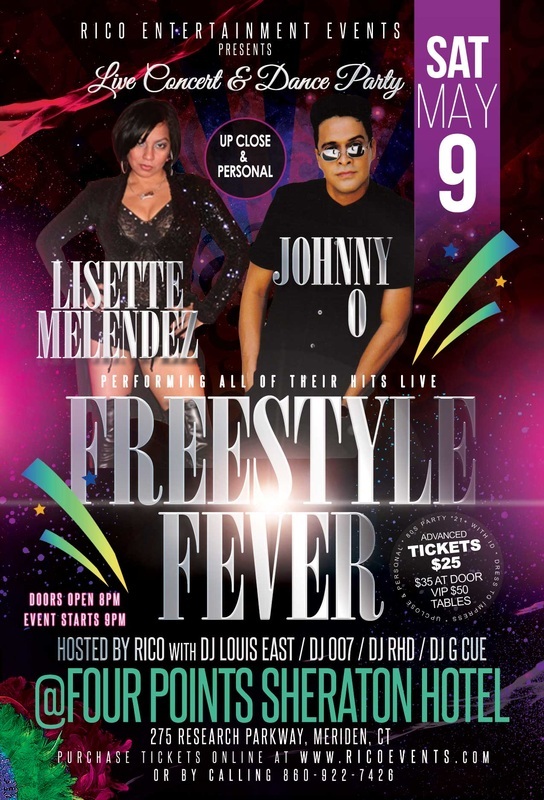 Performing legends of Freestyle Johnny O and Lisette Melendez!!! Guest to the show with tickets also get free entrance to the Nightclub at the Four Points Sheraton Hotel as well. Purchase your tickets early and in advance before event sells out!! !